Our Service Trouser in Raw Olive. 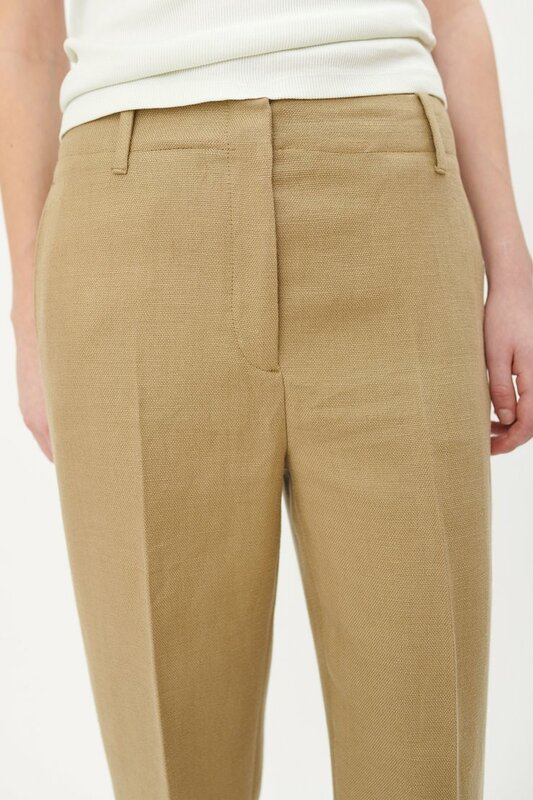 Produced in an Italian linen fabric, the womens straight legged Service Trousers feature a covered hook-and-eye waistband fastening, two side pockets, a YKK zip fly and two back pockets with flap closure. 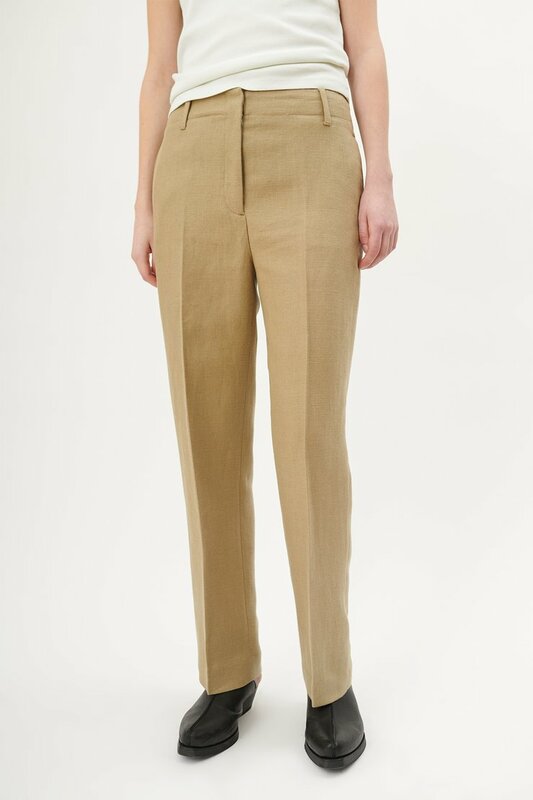 Our Service Trousers sit just above the hip and have a straight leg. The model is 175 cm tall and is wearing a size 36.